MOMO Design helmets are now available in Bikers Café. 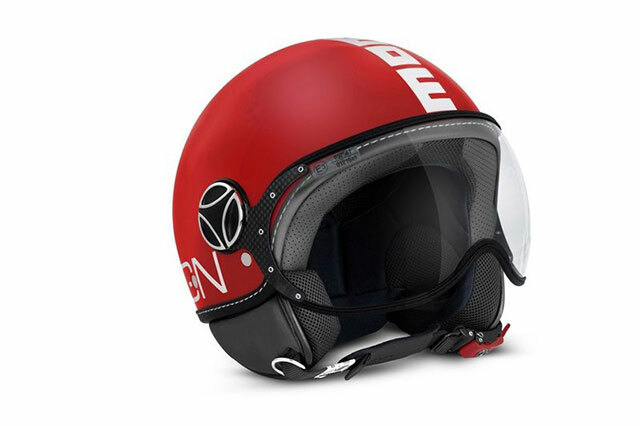 These particular FGTR Classic helmets replace the old Fighter open face helmet model. Inspired by helicopter style helmets, these cool headgear feature a special chrome treatment for the logos on the cap while the external visor is of optical quality and fully adjustable. The inner lining is removable and washable. The MOMO Design FGTR is fastened by an easy to operate quick-release buckle and ratchet strap.